WordPress Hosting For Cheap or FREE! It’s a big question all over the web… How do I get a WordPress blog for cheap or free? I’ll answer the question quickly and simply here. You can get a WordPress blog for free at WordPress.com. 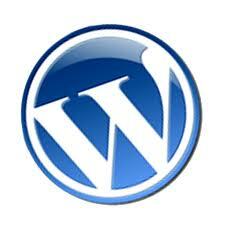 In order to get a free blog, you will need to host it on WordPress.com. This means your blog will be at the URL www.yourblog.wordpress.com. The downside is you won’t have your own domain to build its popularity. You also lose the customization ability on the free blog. The upside is it’s FREE. WordPress.com does offer a paid option to get your own domain and other features but it’s cheaper to follow my instructions below. If you are going to spend time blogging, it’s smart to get a domain so you can build it’s popularity and start to gain traffic on your own domain. A domain is an asset and if you are building a free blog on a domain like blogger.com or wordpress.com, you are really building the popularity of those domains – not your own domain. If you’re ready to start building the popularity of your blog on your own domain, I would recommend getting a HostGator hosting plan for under $4 per month to host your WordPress blog. HostGator is among the best WordPress hosting because you can easily install a WordPress blog on your domain. They even have a Video Tutorial for Installing WordPress. You will have access to everything that makes WordPress great…free updates, themes, plugins and more. If you own a domain already, you will have to point the domain to your new HostGator hosting or you can buy a new domain with your hosting if you do not yet have a domain.